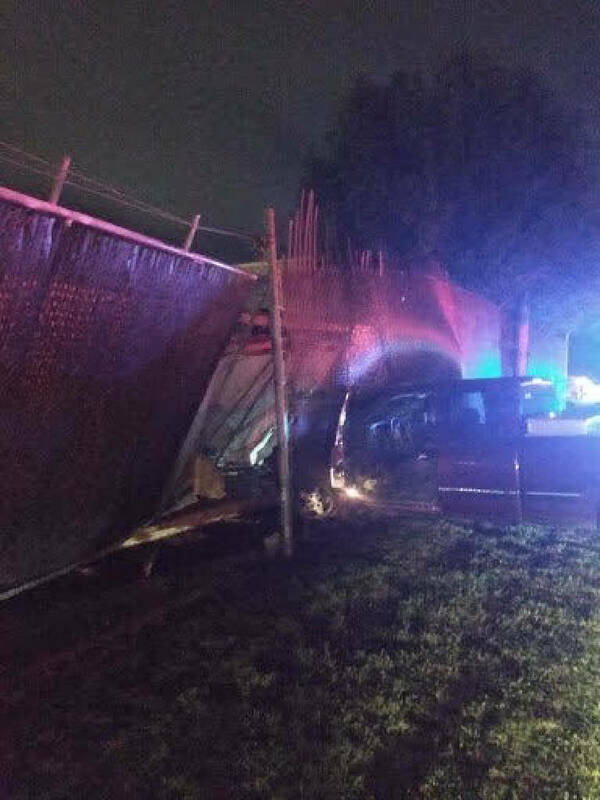 A drunk driver crashed their truck through a fence at Chattanooga police headquarters (Contributed photo/Chattanooga Police Department). 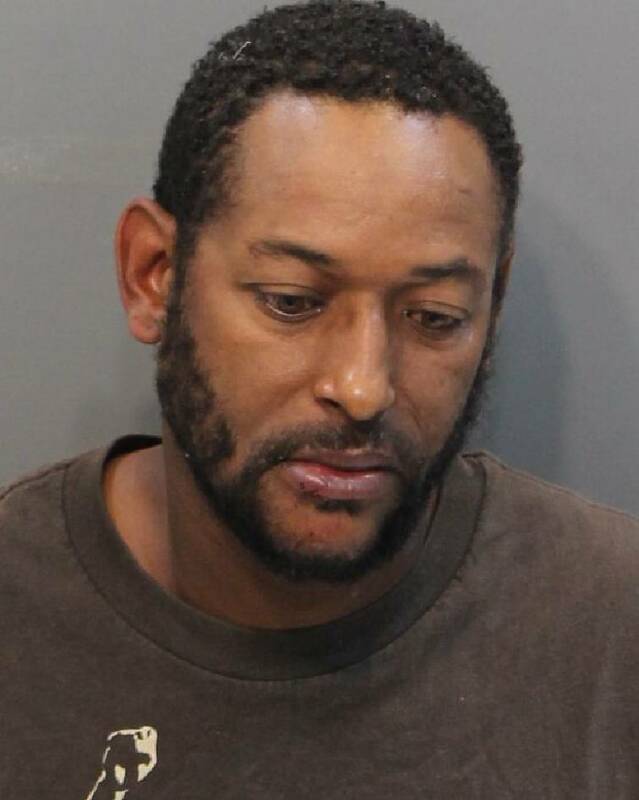 An alleged drunk driver crashed through a fence at Chattanooga police headquarters late Friday night. The driver was identified as Darwin Patterson, 45. He was charged with resisting arrest, disorderly conduct, driving left of the center line, reckless driving, driving under the influence 2nd offense, no proof of insurance and driving without a license. A Chattanooga police officer pumping gas at the Amnicola Highway facility heard tires squealing and an engine revving before he heard a loud boom, more squealing tires and another boom shortly after 11 p.m., according to an affidavit. He then found a red pickup truck had crashed into a telephone pole before driving into a fence surrounding the service center. The driver refused to answer the officer's questions, stating over and over he was afraid of white police, according to the affidavit. He also gave the officer a fake name, according to the affidavit. The officer believed the man was drunk due to his slurred speech and the smell of alcohol. He was taken to a local hospital to get stitches in his lip from an injury sustained during the crash. While at the hospital, Patterson cursed loudly and "got up into Officer Cookes face and squared up to him like he wanted to fight," according to the affidavit. Patterson was then restrained while the doctor finished stitching his lip. He was then taken to the county jail. Officers served Patterson with a search warrant to test his blood alcohol level. Patterson refused to allow nurses to take a blood sample and attempted to fight the corrections officers, according to the affidavit. He was put into a restraining chair so blood could be drawn. Results of the test are pending. Patterson was also charged with a DUI in 2003. The department account tweeted the following message: "DO NOT DRINK & DRIVE, but if you choose to...crashing the vehicle you are driving at police headquarters makes it much easier for CPD Officers to arrest you. #dontdrinkanddrive"
Updated at 4:54 p.m. with information from an affidavit.